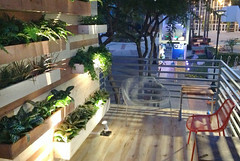 Everyone knows that the TED Conference is the place to share new and innovative ideas. 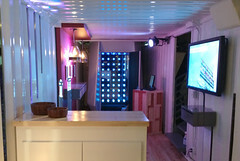 And this year Delta wanted to showcase a range of new products and services at the famous conference in an iconic space that people would talk about. 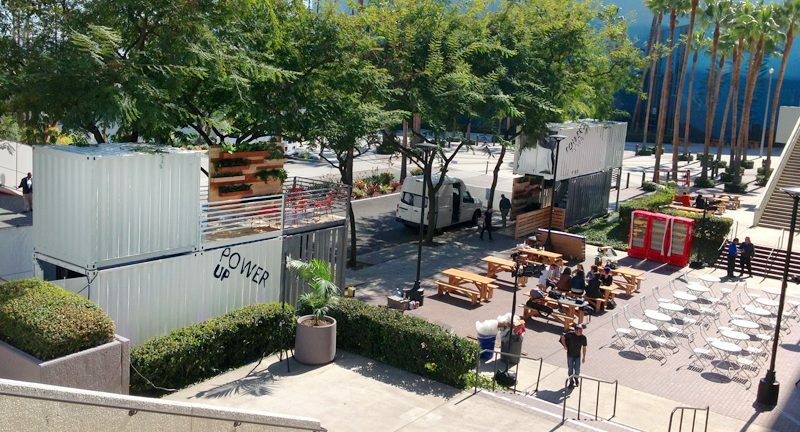 The solution was to create and deploy two separate structures that attendees would have to pass through to get to the entrance of the Performing Arts Center. 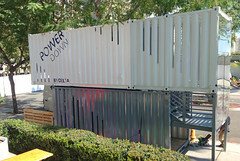 The Power Down structure was made up of a 30-foot container placed above a 20-foot container on the ground floor. Inside, guests could relax in one of Delta’s new sleep pods or lie-back seats. 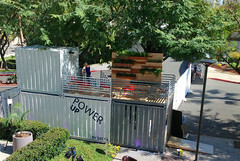 The Power Up station was comprised of a 30-foot ground level container with a 10-foot container and open-air patio above. 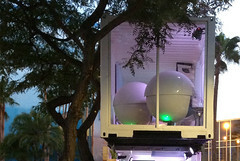 Here, guests were able to enjoy a juice bar, an open air patio, and check out the Photon Shower – a light therapy chamber designed to reduce the effects of jet lag. 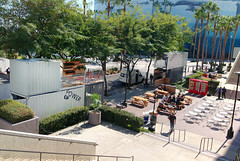 Each structure utilized glass walls at the ends of the containers and vertical cut-out vents along the corrugation to provide natural light and airflow. 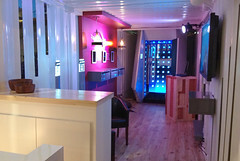 The Delta Lounge at the 2013 TED Conference was resounding success. We were able to create an iconic, and functional space that effectively displayed Delta’s range of innovative breakthroughs.